Welcome to a world of what-ifs and why-nots. Komorebi is a window blind system that offers a pleasant wake-up experience in tune with natural rhythms. The shade slowly fans open letting in natural light, either as the sun rises or based on a set alarm, depending on the desired setting. We were exploring how best to create a kinetic movement that would slowly allow light to stream into the room in a way that felt natural. 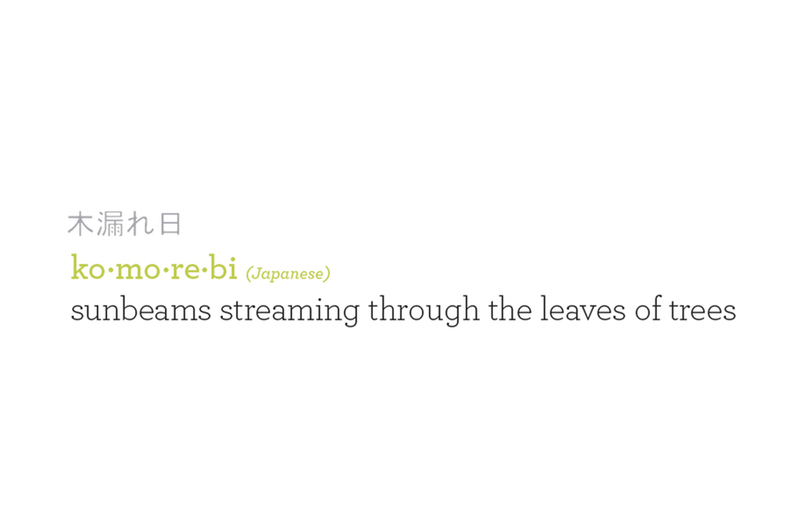 In the end we took a cue from light streams pouring through layers of leaves, which is called "komorebi" in Japanese. 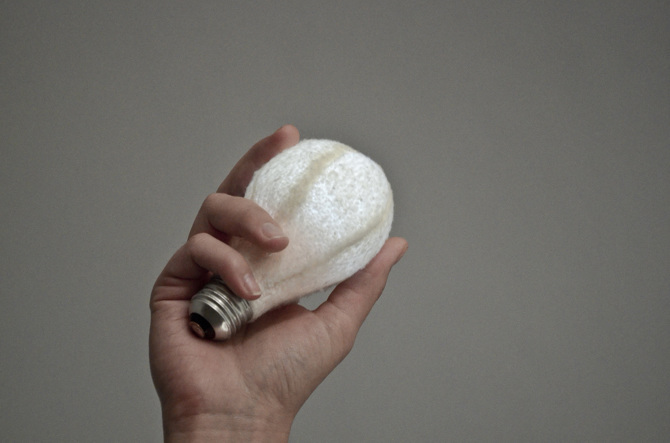 Soft Light is a plush rechargeable lightbulb. Normally, lightbulbs are hard, fragile, and hot. 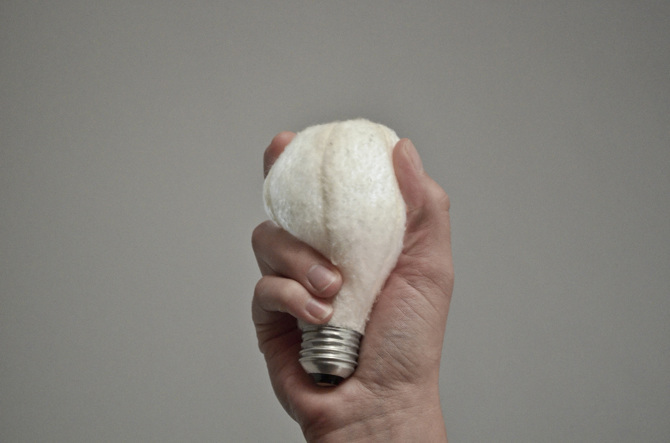 This lightbulb, however, is soft, cool, and durable, and it can be used without a socket, making it ideal to keep by the bed. The bulb turns on and off by pressing the top in toward the base. This model could be recharged by USB, but the vision was to have it recharge by screwing it into a standard fixture. 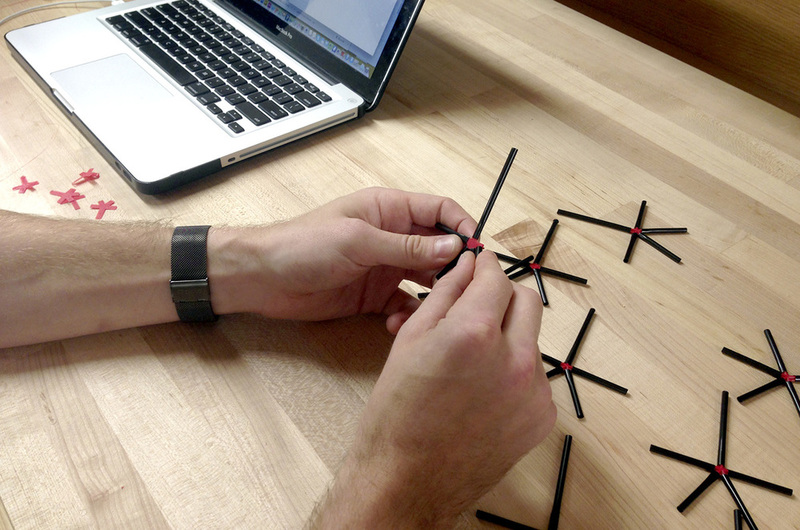 The filament is made of LEDs so it gives off minimal heat, and runs on a rechargeable lithium-ion battery. 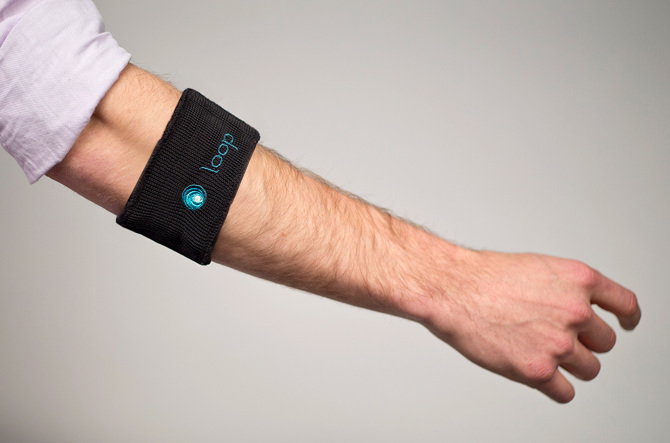 Loop is a directional haptic feedback accessory. It helps people stay more focused on their surroundings by eliminating the need to have a phone out to look at directions. The armband has vibration points spaced evenly, which vibrate clockwise or counter-clockwise when a turn is approaching, which makes it ideal for use while exercising or when touring a foreign city. 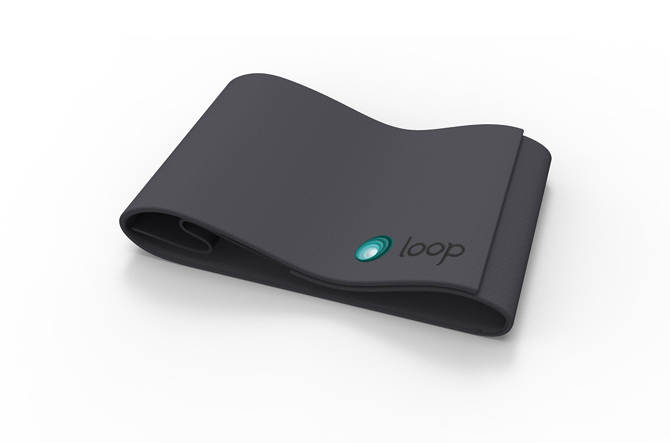 Loop was awarded as the interaction design student runner-up in the 2014 Core77 Design Awards. See more by clicking here. Everywhere is an app that enables in-person mobile commerce by helping people to buy and sell goods from one another at their utmost convenience. From our ethnographic research, we exposed the value in making an exchange in person. This fundamentally challenges the goals of "mobile commerce", asking, "Is the phone the platform for making purchases or is it better used for arranging an in-person meeting to buy something from a stranger?" 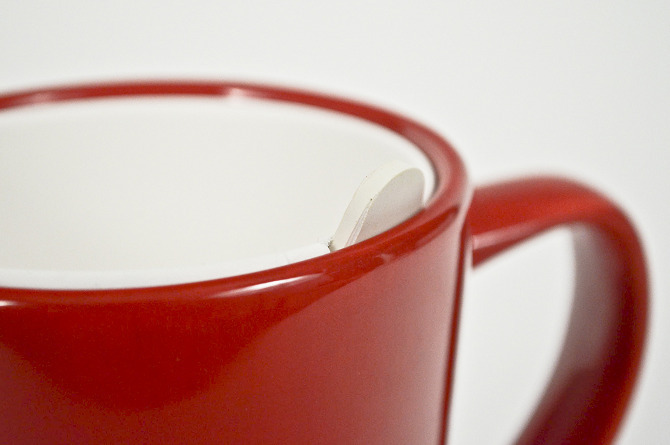 This coffee mug and filter set functions much like a french press but for single-shot coffee. 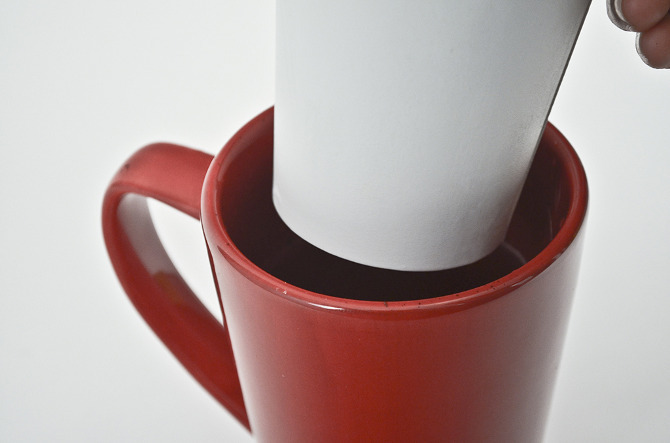 As the white filter is lowered into the mug, the coffee emerges through the filter's porous walls trapping the coffee grounds below. 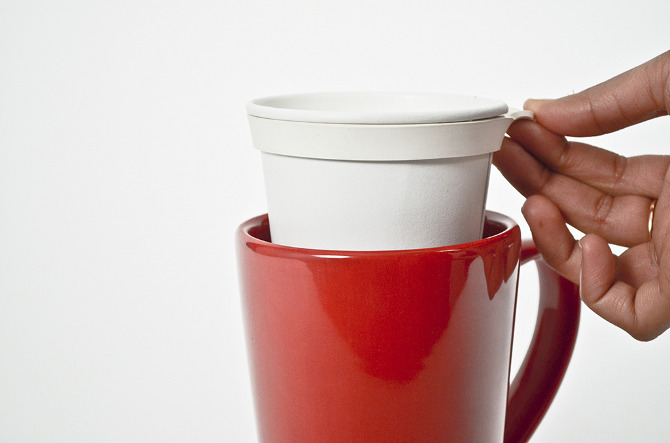 However, unlike a normal coffee filter, this filter is made of a porous ceramic, which is pleasant to drink from. The product would have been impossible to make without the invention of the new material, sinterable paper, from PTS in Germany. Thank You For is a set of two platforms designed to promote expressive and specific appreciation in an office environment. 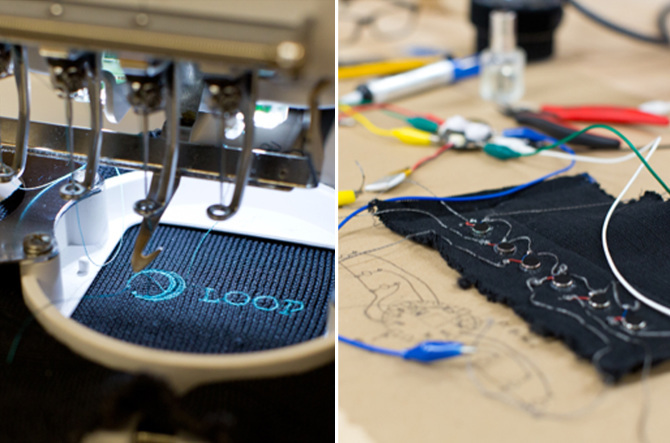 These products emerged from research conducted in partnership with Etsy. The “Thank You For_ Tree” is a seven-foot tall wall decal shaped like a tree, and employees are encouraged to write personalized thank-you-for’s on round “leaves” and place them on the tree. "Tiny Favors" is a card and stamp set. The stamped cards have a space for a name, to ensure the thanks is personally directed, a space to write what specifically the thanks is “for…”, and a space to offer a tiny favor in gratitude. 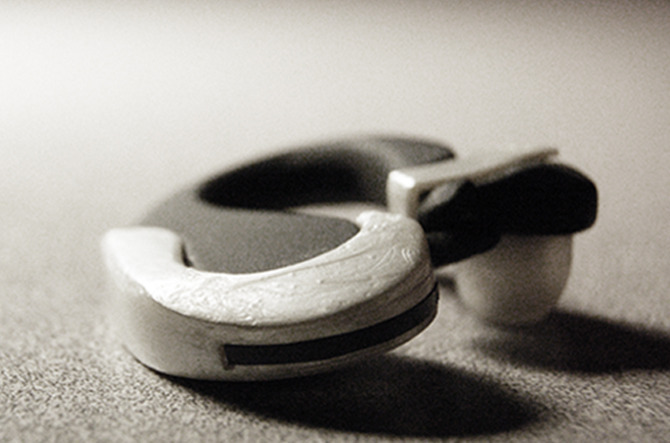 Quo are wireless headphones that allow you to hear your own music without playing it out loud, and yet you still want to be engaged with the outside world. They are unique in that they allow control over the volume of the music and that of the surrounding environment as well. 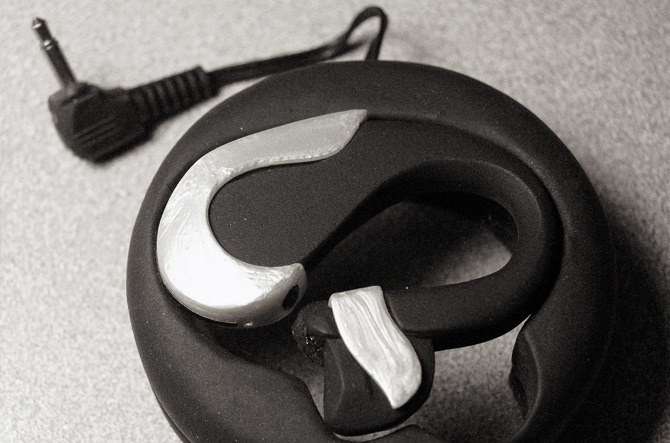 They combine traditional audio playback with hearing aid technology. The sensor along the back of the right earphone controls the music volume, and the sensor on the left controls the outside volume (from noise-canceling to amplified volume), meaning you can control the volume of your music and the outside world independently. 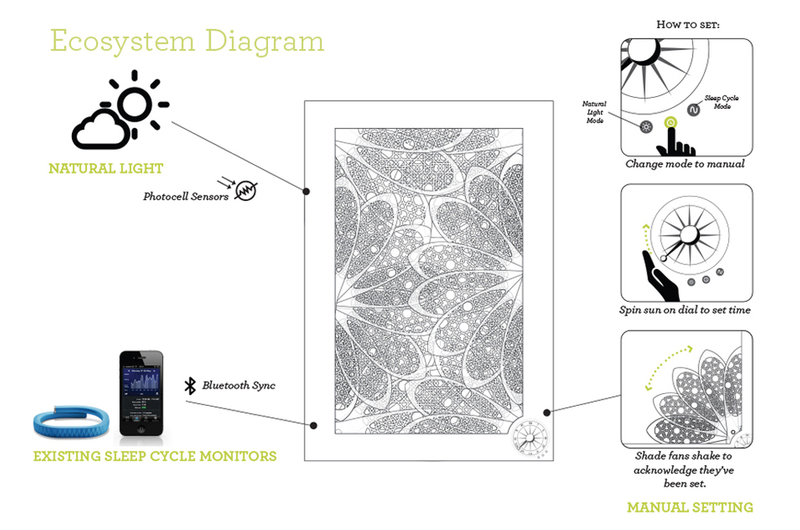 Luminesce is a carbon-negative off-grid modular lighting system. The light is emitted by bioluminescent algae, which lives in saltwater and feeds off carbon dioxide. During the day it drinks sunlight, and at night it glows blue. Since it casts little light, but still does glow quite clearly, it is used as an alternative to neon, for backlit signage, or for wayfinding. Working off the existing model for farming algae, which is currently done for biofuel, Luminesce houses the algae in clear tubes and a small pump keeps a steady flow of carbon dioxide flowing through. 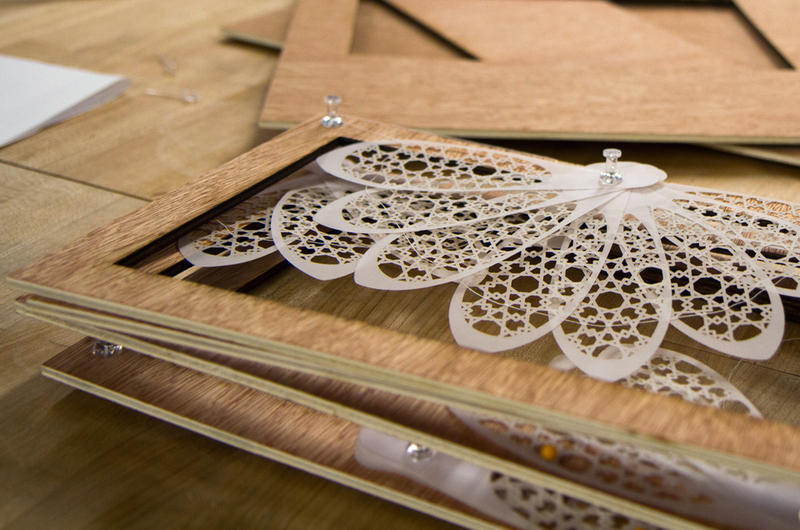 This project was done in a sustainability class at SVA led by Luminary Labs' Jen van der Meer and Rebecca Silver. This Facilitator’s Workbook is a step-by-step guide for Red Cross Red Crescent aid workers to lead workshops on flood preparedness with the local communities threatened by flooding in the Zambezi River Basin in Namibia. The diagrams simplify the steps, so the facilitator can reference the book at a glance. It is also made from durable synthetic material as to withstand the abuse that such a well traveled book would likely incur. The spiral binding allows for the pages to be flipped so the book doesn’t have to be held open. Real Life XP is a way to tap into people's desires to earn virtual rewards in video games as a way to promote physical exercise. XP refers to the experience points one accumulates through playing role playing games. In this game, one can earn XP for Minecraft (for example) by finding gems in the real world, thereby encouraging physical activity. Video games provide an outstanding opportunity to change behavior for the better, because they are inherently motivating. This product was designed 3 years prior to the release of Pokémon Go. Cultivator's Union is a Workshop, Studio, and Design Collective concept, focused on helping people with ideas to bring them into reality. 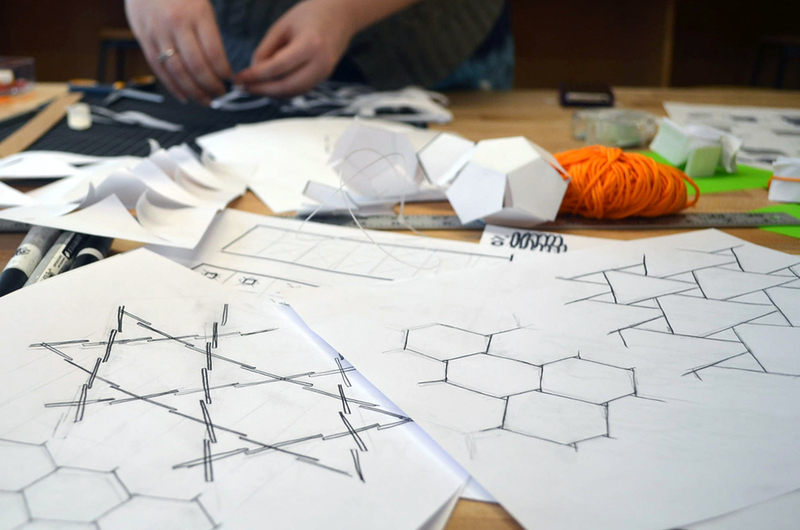 With the proliferation of DIY communities and maker spaces, people have the resources to bring their ideas to fruition, but they still lack the basic design skills to do so. The financial viability of this project was an essential part of the project's strategic design. We planned the launch and expansion in two phases, first partnering with existing institutions and later becoming autonomous. 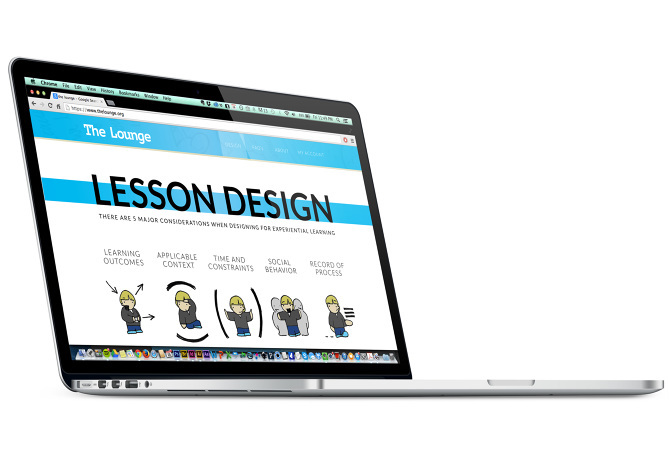 "Document" and "The Lounge" are apps that helps teachers design and document their work. Reflection and documentation of what happens in class can be tedious for teachers, especially if they have to teach classes back to back. 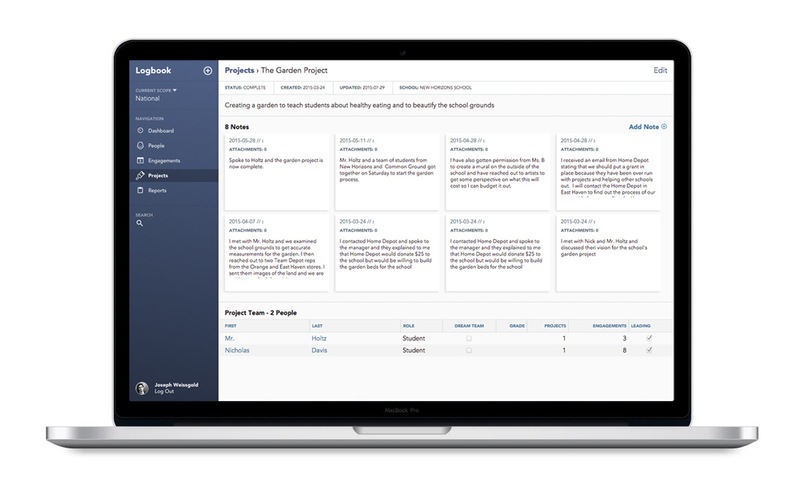 This app treats the practice of documentation more like storytelling, in a process that begins before class even starts, and allows their learnings to be shared with a community. These apps open the doors of all the brilliant experimental teaching practices that are happening behind closed doors. But more importantly even than that, it serves the teachers themselves, who can now have excellent records of how things went, both to improve their lesson designs and to reflect upon for their own professional development. The landscape of education is in a constant state of change, and educators are expected to keep up with those changes. Even if it were their only obligation, the changes come so fast and so often, it would be impossible to stay on top of everything and simultaneously apply those tools and strategies to their work. It’s not that they don’t want to keep up; it’s just all a bit too much, and too often it leads to a kind of paralysis. The biggest paradigm shift is from teachers spending all their time standing at the front of the class lecturing, to a balance of giving lectures and facilitating activities. The transition is uncomfortable for many teachers, especially when there is a decade or more of tools and strategies that they feel they’ve fallen behind on. It also implies that teachers are no longer expected to know everything, which can be difficult for some teachers who are so used to defending themselves. When I first joined The Future Project, one of the major challenges was to know what Dream Directors were actually doing all day in schools. We all knew the impact was significant, the question was, what are they doing that's causing that impact. 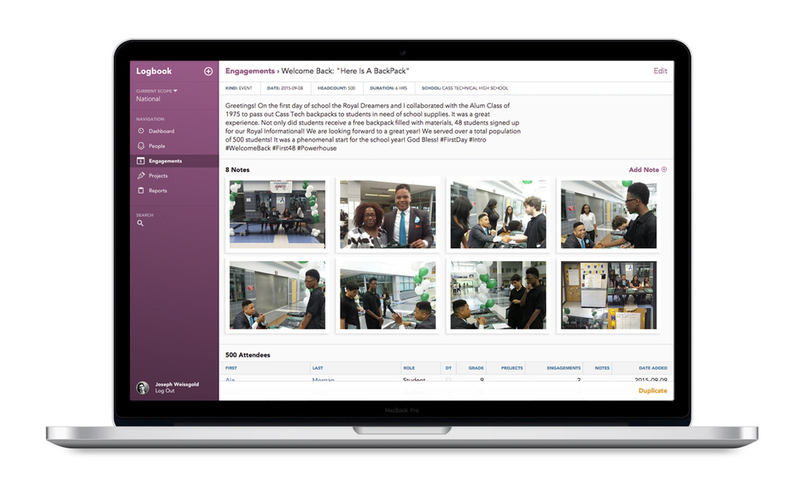 Logbook is now regularly used by all Dream Directors in the field, to track all engagements and project created by the people they work with. It allows for storing media (pictures, audio, video, and other documents) and provides visual feedback to the user. As the Director of Dream Academy at The Future Project, I was tasked with ensuring that all Dream Directors had access to all the definitions and frameworks they needed on a day-to-day basis. Because the work is most often done not in front of a computer and not in an office, the solution had to come not only in a digital format and not only in a thick textbook. That's where the idea to make a small pocket book came from. The books were distributed in October and quickly became popular, especially among Dream Directors in their first year. 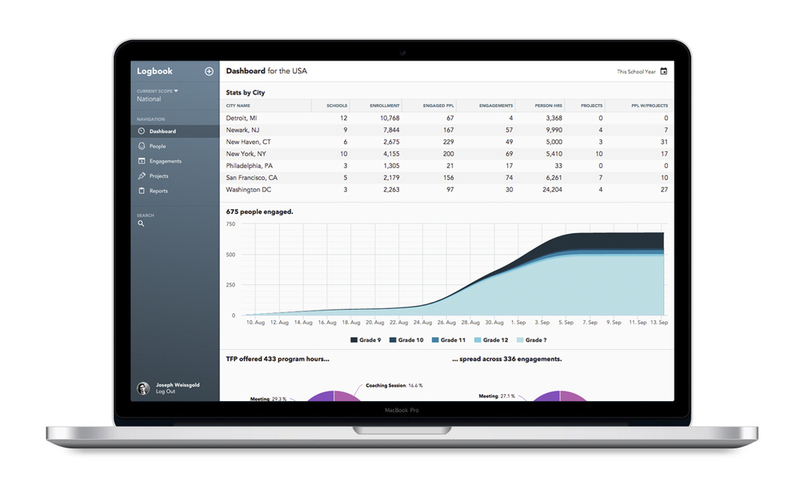 The content was also made available on a website that we shared internally. 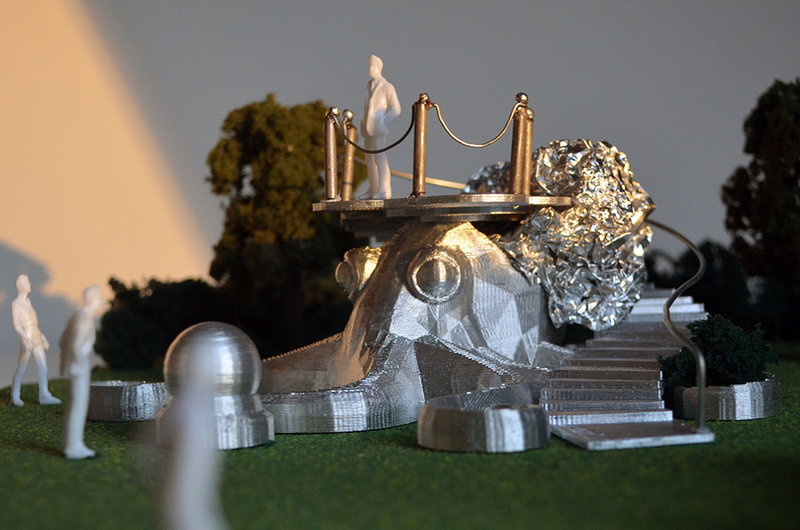 At The Future Project we saw our work as standing on the shoulders of giants from history and fiction. To acknowledge our predecessors and inspirations, I created these images and photoshopped our iconic TFP buttons on their chests. These pictures were then blown up and framed in our Manhattan office. 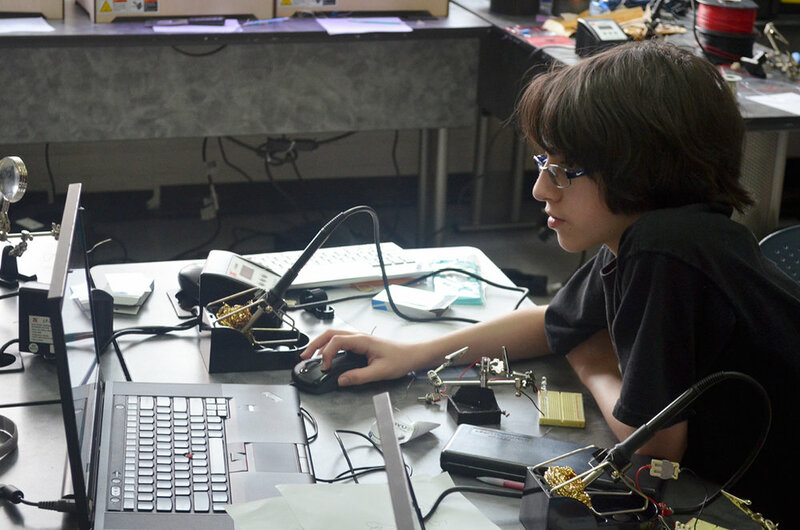 In the first, they each created a functional toy organ and speaker using the design process, prototyping, and 3D modeling and printing. Everyone got to go home with an organ of their own design. 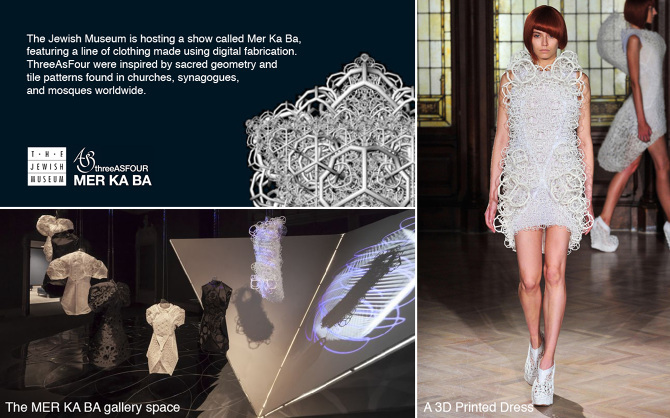 In the second, they downloaded templates from Thingiverse and hacked them into their own customized products that they could bring home and actually use in their day-to-day lives. 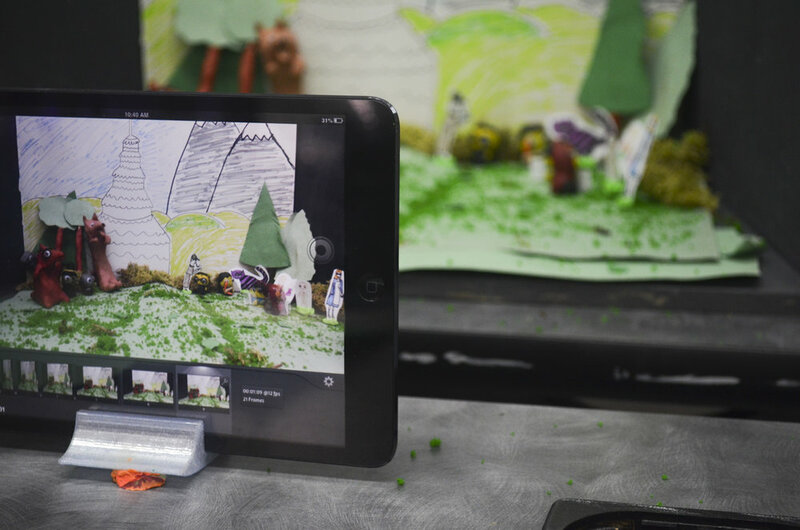 In the third, they played with 3D-scanning, and were able to print their own custom characters that they used to make short stop-motion animations using the iPad app, iStopMotion. Leading up to the panel I was invited to sit on at the PopTech conference, we staged an activity with a 3D printer to demonstrate the value 3D printing could bring to teachers. 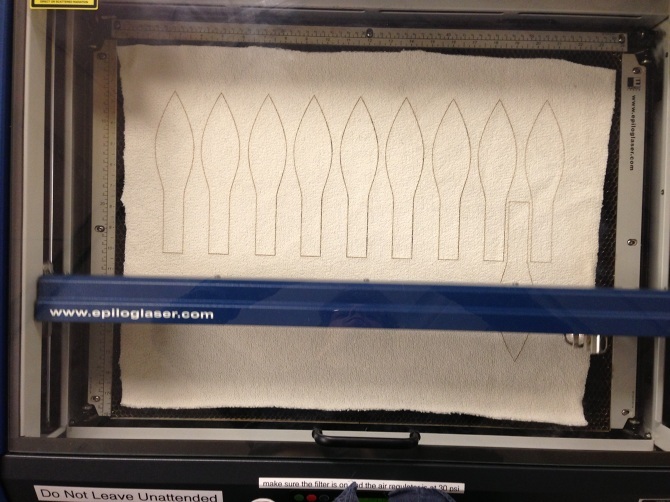 The printer was playing its part in an ongoing iterative design process. 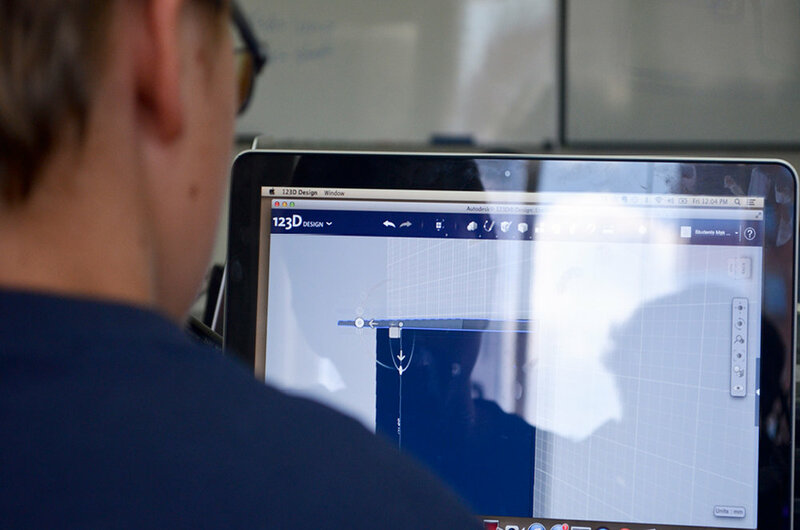 The attendees were given drinking straws, and we're challenged to design 3D printed parts that would connect the straws to construct the them into structures. As people mocked-up their ideas with modeling clay, I manipulated 3D models on the 60” monitor and the printer printed the little connectors. The challenge of building a structure was chosen because it’s something that’s particularly difficult to design without building it up in the real world. 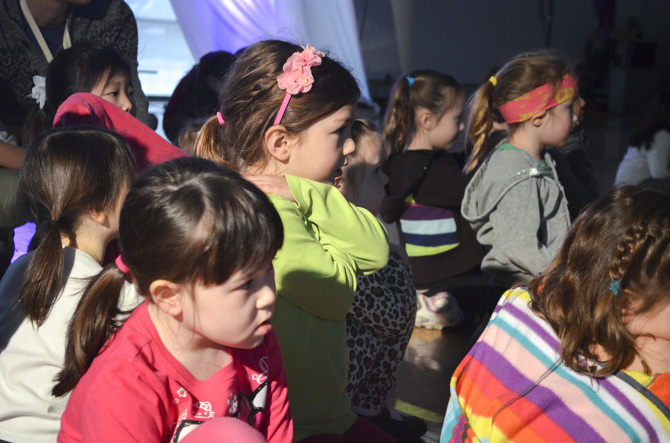 This family workshop took place on the closing day of the ThreeAsFour exhibit, MerKaBa at the Jewish Museum. There were five families in attendence with kids aged 11-13. The families designed custom stencils in Inkscape and 3D printed them, so that they could use them to make decorative greeting cards. The Institute at Havergal hosted a Day of Creativity with Purpose for Havergal's Junior School in Toronto, Canada. 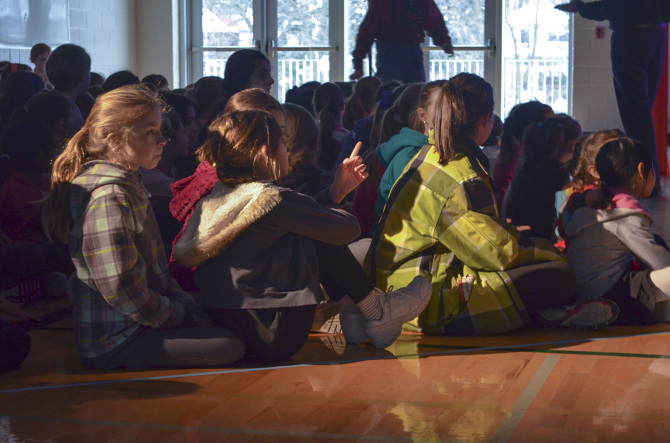 In the morning, the students watched an acrobatic show, performed by a group from Cirque du Soliel. 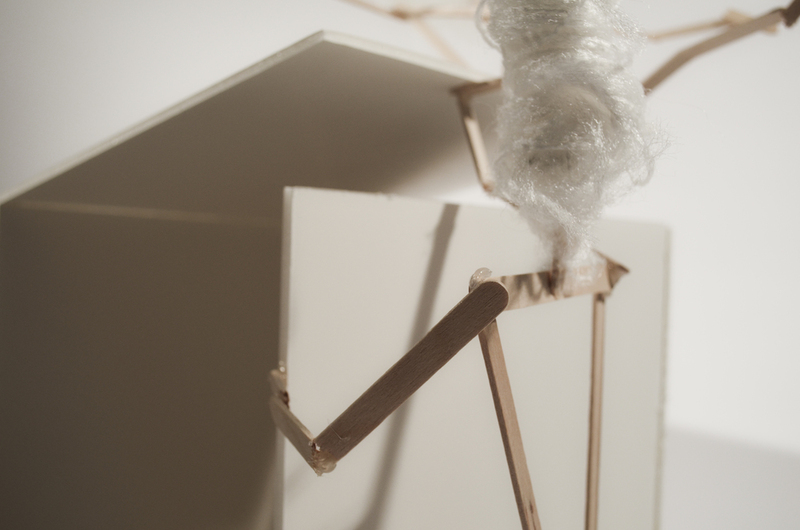 The plot addressed themes of sustainability, and more broadly, the relationship between creativity and vulnerability. The kids were encouraged to experience that freedom through drama games. In the afternoon, in groups, students expressed their creativity in the medium of their choosing. "All the World's a Stage" is a commentary on how people behave differently in different situations. Set inside a television, it alludes to the performance of life. The chess pieces are made of wax and so they melt whenever the light is on, when they are being watched. Each different piece represents a personality one puts on: the king, queen, castle, knight, bishop, and pawn. "The Mad Octopus King" is a commentary on people's relationship to materials. A hundred years ago, aluminum was a considered a magic material, super lightweight, affordable, and can be used in so many different contexts. Now with plastics, the magic of aluminum is all but history. This park installation shows off the many different forms aluminum can take to inspire the next generation to appreciate it anew. "The Curious Man" is a commentary on the nature of exclusivity. The analogy is as follows: The large man wants to contribute to the small people's work, but in lifting the lid to peer in, he's blinding them and causing more harm than good. At the same time, another part of himself rests peacefully atop the box and the peaceful side of himself too is disturbed by his interest in getting involved. "Also" was a mobile installation designed for Wanted Design at New York's design week. 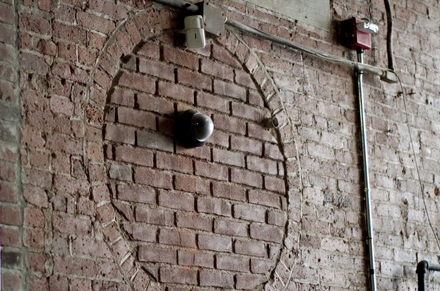 The purpose was to call attention to the beautiful but unseen details in the space itself. 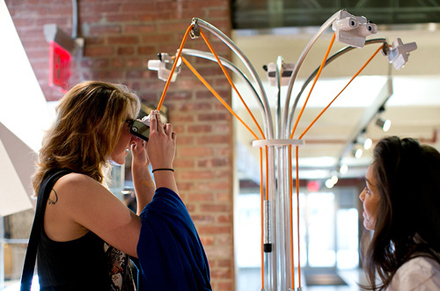 The tree of view masters that I designed had images of details in the space as the images. Ironically, you need to engage with our installation in order to recognize them as design pieces in their own right. I grew up in Toronto, back when Drake was on Degrassi and the Raptors couldn't buy a win. It was a different time. Being an only child in the 90's, when I was at home I spent a lot of time with my imagination. For hours on end, I would draw superheroes, invent gadgets, play computer games, and bring my action figures to life. My life was a fine balance of very social extra-curricular activities that filled up most weekday evenings and this alone-time where I was the creator of worlds. And then, every chance we got, my parents would take me traveling. I almost never spent a school break at home. By the time I was 18 I'd been to 20 countries. When we travelled my favorite thing to do was take photos, to stock up on inspiration; details and lifestyles to make my imaginary worlds that much richer. 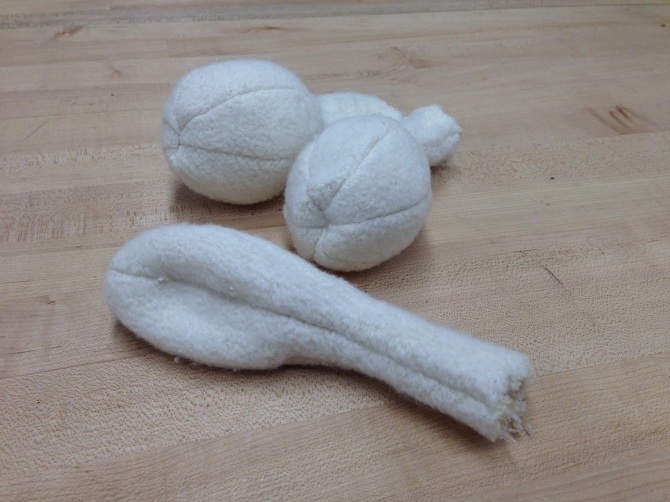 I've always wanted to be an inventor, I just didn't think it was the kind of thing you could go to school for. So when I learned about Industrial Design I didn't hesitate. My hero as a kid was Leonardo Da Vinci. He was my introduction to invention as a craft and the first role model I had of what it means to be truly trans-disciplinary. So at 18, I moved to Ottawa to study Industrial Design at Carleton. After three years, I took a year to work at a design firm in Tel Aviv and put a freelance product on the market before moving to NY to finish my undergrad at Parsons. It was only then that I realized I was becoming anything but Da Vinci-like; I was becoming a cog in a machine of mass consumption. I loved the design process and making and inventing, but with that awareness I was compelled to expand my horizons beyond materials and manufacturing techniques. I finished my bachelors at the wonderfully trans-disciplinary New School before finding my real home, a design master's program as self-aware as I'd become called Products of Design at the School of Visual Arts. My first paid teaching job came when I was 14. The head of the junior congregation at my synagogue moved away so I jumped on the opportunity to offer myself in the interim until a new teacher could be found. I ended up keeping that job all through high school. I felt like one of them, like I knew how to level with them, what they would find fun, and how they'd actually get the big idea. I absolutely loved it. 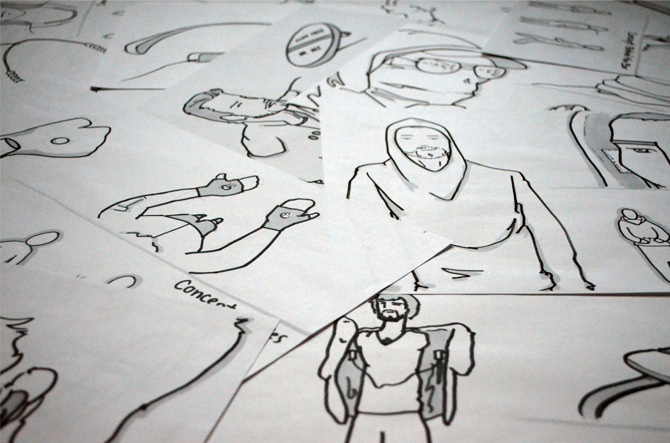 While going through my whole journey as a designer, I remained an educator. At camp I became a counselor at 15 and by 16 was the director of all programming, and I stayed there until I moved to Israel at 20. Throughout university I tutored, taught hebrew school, and later started teaching design and technology as well. It wasn't until my master's that I realized that being an educator wasn't just a hobby of mine or any easy way to make money, it was a core part of who I am. At Products of Design, where I went to grad school, the way we learned the design process was by applying it to a wide variety of areas, from the healthcare industry and the food system to the credit card industry and networked sharing economies. The outlets we were allowed to use were equally varied: writing, coding, drawing, and making things with tools, from table saws to 3D printers. Because of this, it was well received when I declared I'd be doing my thesis at the intersection of design and education. While I did write a great deal, I also made artifacts, videos, posters, maps, and more to communicate my ideas. The final product of the thesis was entitled "The Teacher's Lounge". It was a platform, a community of teachers exploring new technologies and lesson designing in small groups using the framework and tools I'd developed. I had a partnership with the Brooklyn public libraries who agreed to host these meet-ups and with the NY Department of Education to connect me to more teachers. 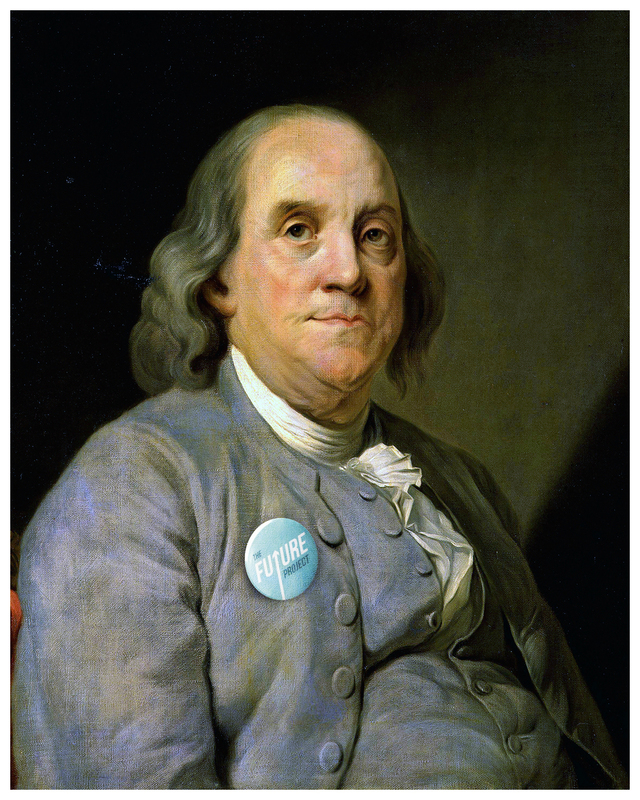 I was in the early stages of fundraising when I was recruited by The Future Project. I first heard about The Future Project while in grad school, and was inspired by their bold vision to transform public high schools across the country into places of possibility. Their approach is to supply each school with a Dream Director who works with students to shape school's culture and build projects based on their passions. I joined The Future Project shortly after completing my Master's to help them build out a system for collecting meaningful data from the field. It was right after their first major expansion and there was real urgency to standardize the model. In my second year I built out the training system called Dream Academy that ensured all Dream Directors were prepared for the year and supported on an ongoing basis. I then transitioned to build out organizational systems as the organization's Chief of Staff. After I'd been at The Future Project for three years, a few of our senior leaders transitioned to a new project, to launch a start-up committed to making the world work better, not just for young people, but for everyone. Unlike most social innovation labs or incubators, we don't just support other peoples' initiatives, but we invent new ways to make impact our selves, develop them out in house, and support them until they're fully self-sufficient. At Future Laboratories, I am in charge of the Invention Lab itself, meaning that I'm responsible for determining our process for inventing new initiatives and supporting our existing projects to ensure that they are successful when they emerge from our lab. Whether you are hosting a conference or putting together a session for your team, let me work with you to make the experience as powerful as possible and ensure that you get your goals met. Breakthroughs are all but guaranteed. Have me join you, whether in the context of an important meeting, an important lecture, or private sessions, to capture and map out your ideas in a way that creates powerful alignment, keeps the team engaged, and serves as a great artifact to reference moving forward. Please contact me directly to discuss work opportunities. I am always open to more partnerships.